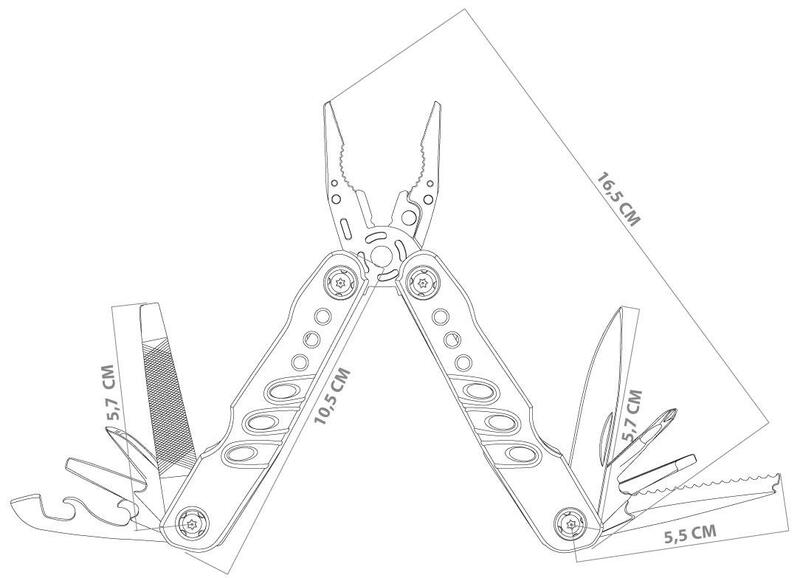 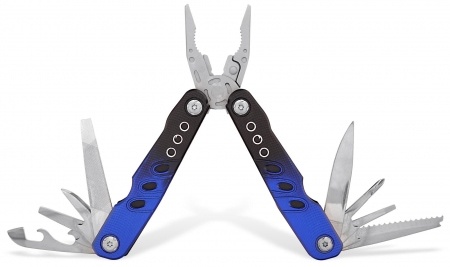 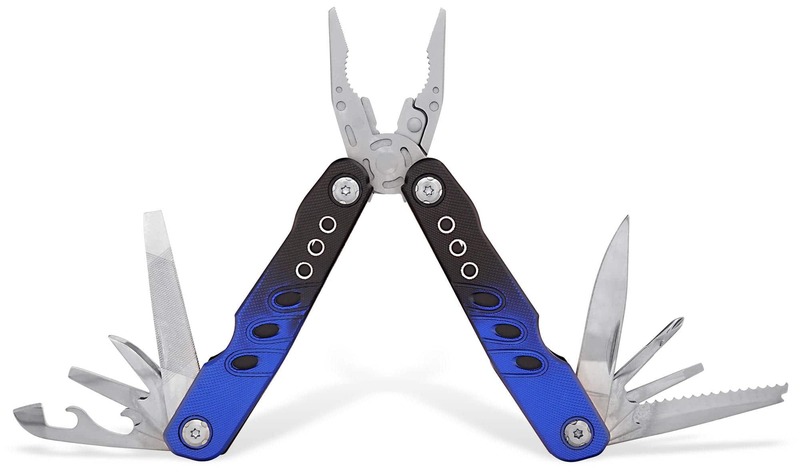 Strong multi-tool with pliers and quality anodization! 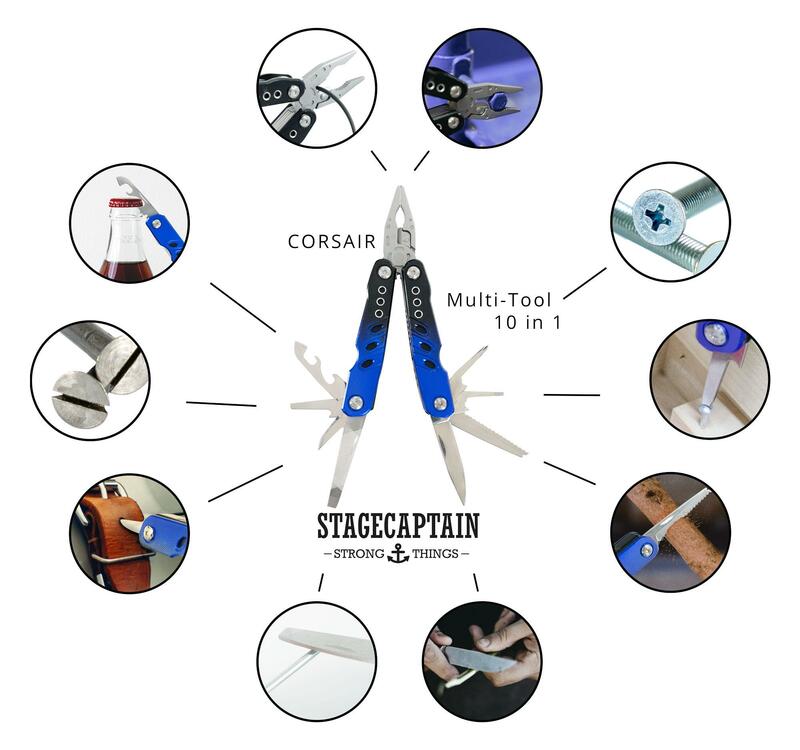 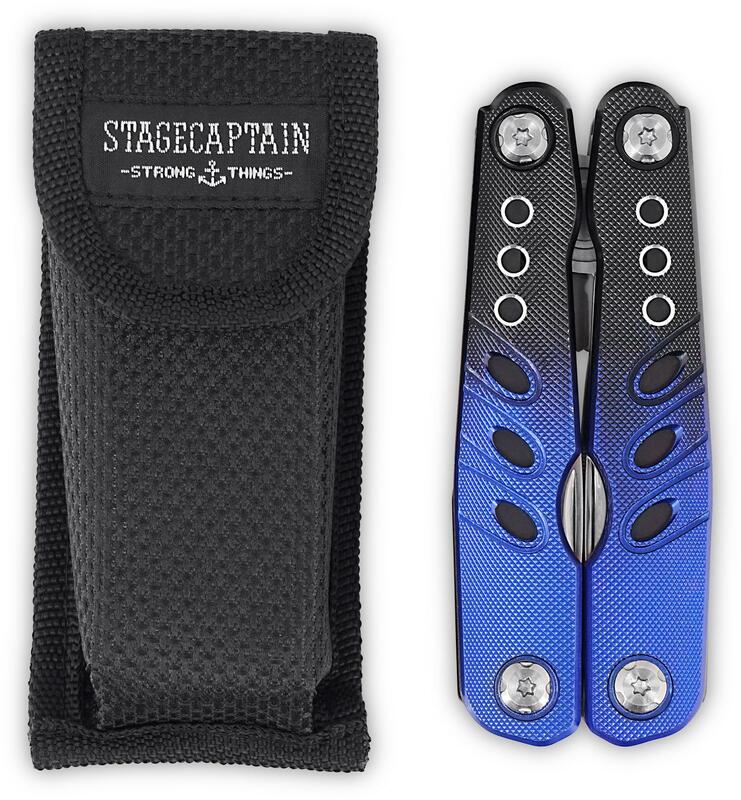 The Stagecaptian Corsair is the new star of the Stage Captain multi-tool series. 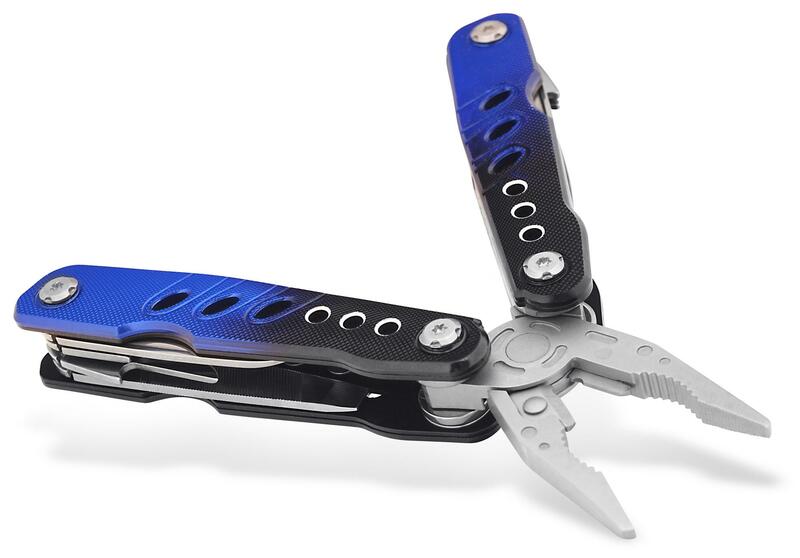 The compact tool is ideal for roadies on stage, outdoor and camping activities, as well as the urban jungle. 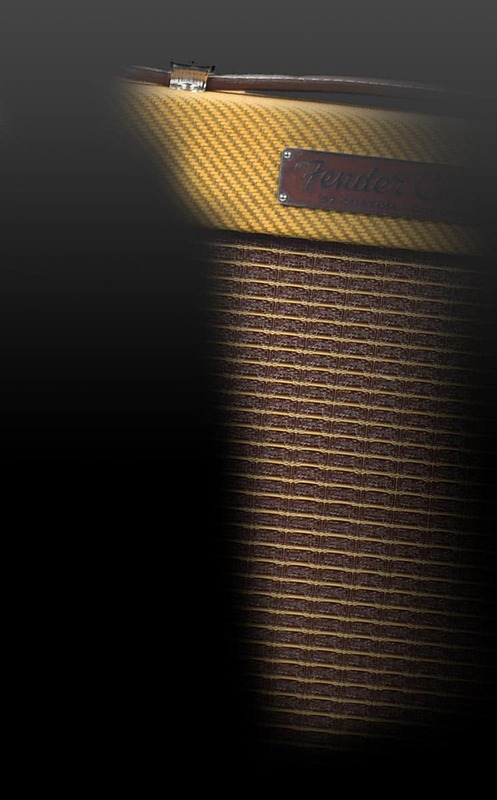 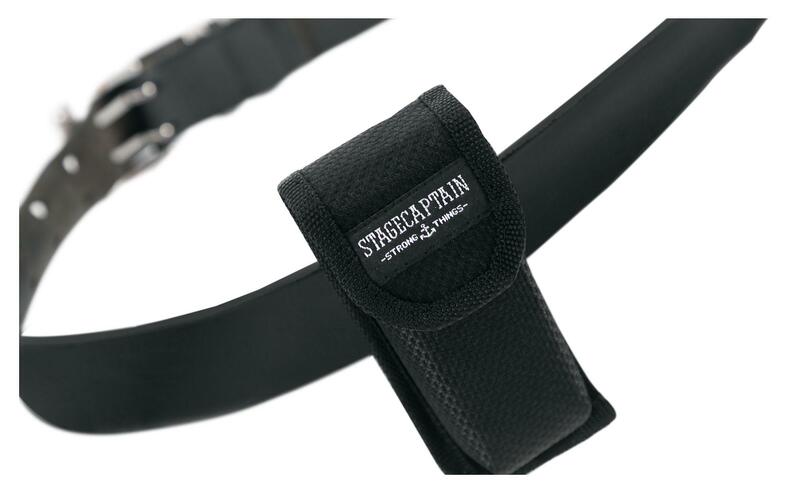 The guys from Stagecaptian have thought through every scenario in the development of this product. 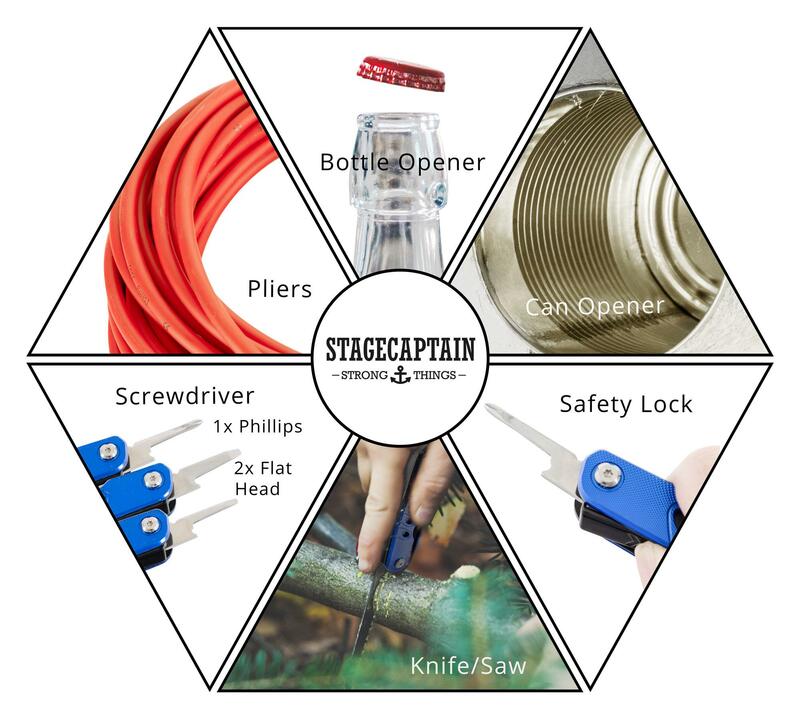 The Corsair offers a pocket knife, needle-nose pliers, regular pliers, a wire cutter, bottle opener/can opener, Phillips screwdriver, slotted screwdriver, a saw/fish scaler, awl/drill and a flat file/large screwdriver. 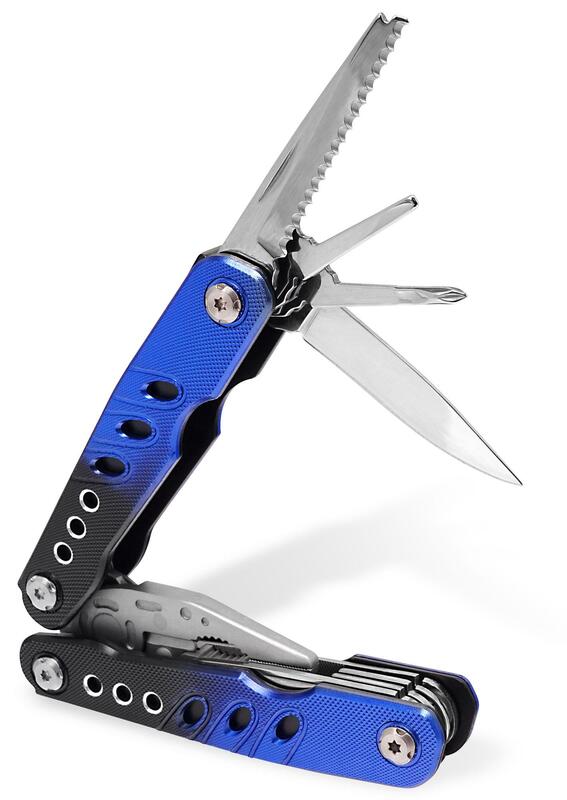 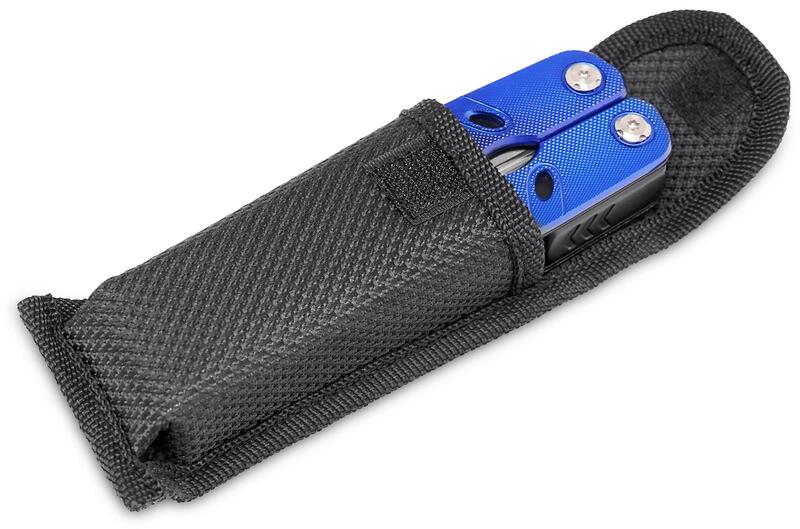 Since it is made from 420 stainless steel and has a blue anodized aluminum housing, the MT-450 Pocket Tool holds up even under adverse conditions.